The European Broadcasting Union EBU and Fraunhofer IIS have successfully conducted the first trial for live production of immersive and interactive sound using the MPEG-H TV Audio System at the 2018 Eurovision Song Contest (ESC) in Lisbon, Portugal. For the trial, the Fraunhofer sound engineers installed a height dimension to the impressive microphone setup in the Altice Arena, enabling them to produce an immersive and personalized audio mix live. Broadcasters and sound experts present at the venue could experience the enveloping and interactive MPEG-H sound. Broadcast annually since 1956, the ESC is the world’s longest-running international television music competition and one of the most-watched non-sporting events in the world, with a current estimated audience of 200 million. For the creation of an immersive sound image, the Fraunhofer sound engineers on site at the Altice Arena installed a dedicated surround microphone array in a “Hamasaki Square” configuration 26 meters above the ground. The four figure-of-eight microphones arranged in a square form were used for capturing the ambient, diffuse sound in the arena during the trial. This way, the Fraunhofer sound engineers were able to use the audio feeds from the main production and the 37 feeds for monitors in commentary booths for production of the immersive mix, in addition to the stereo and 5.1 mixes provided by the EBU and its production team. The immersive mix was produced for reproduction on a 5.1+4H target loudspeaker configuration: 5.1 surround channels plus four additional height speakers. With the MPEG-H Audio authoring and monitoring tools, all music and ambience audio feeds as well as up to five different languages for the commentaries as individual objects were mixed into one stream. 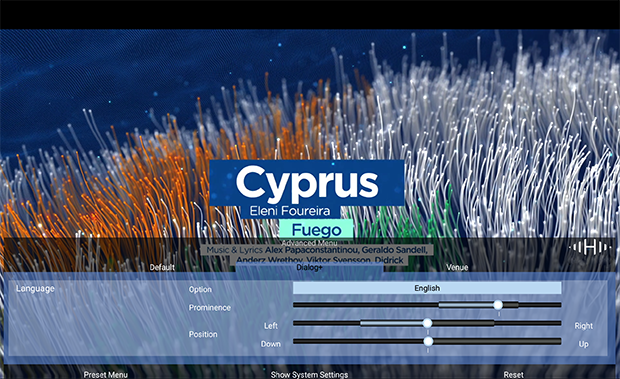 Furthermore, various MPEG-H presets (versions of the mix, such as “Default”, “Dialogue Enhancement” or “Venue”) were authored live, together with metadata describing the personalization and interactivity options. All presets, downmixes to various configurations, different Dynamic Range Control (DRC) modes and interactivity features were monitored using the 5.1+4H speaker setup as well as binaural rendering over headphones. During live demonstrations to broadcasters and sound experts on site in Lisbon, the immersive mix recreated an impressive experience of the Altice Arena atmosphere. 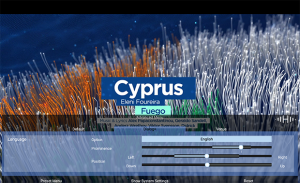 The MPEG-H TV Audio System’s personalization features, such as language selection, dialogue enhancement or position interactivity, could be experienced with a MPEG-H player installed on a tablet providing an easy to use interface for these features. 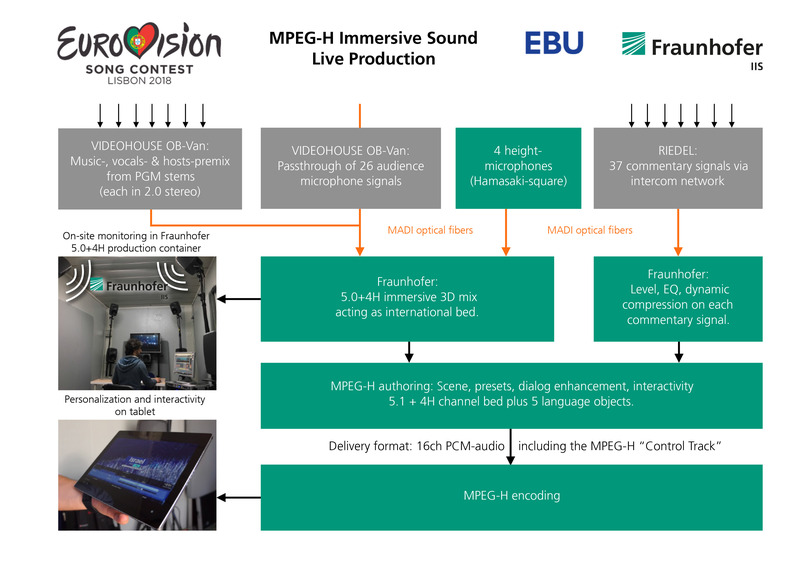 The EBU plans to showcase the recorded MPEG-H immersive mix of the 63rd edition of the Eurovision Song Contest, in conjunction with an immersive soundbar with MPEG-H Audio capabilities, as part of its technology demonstrations in the near future.